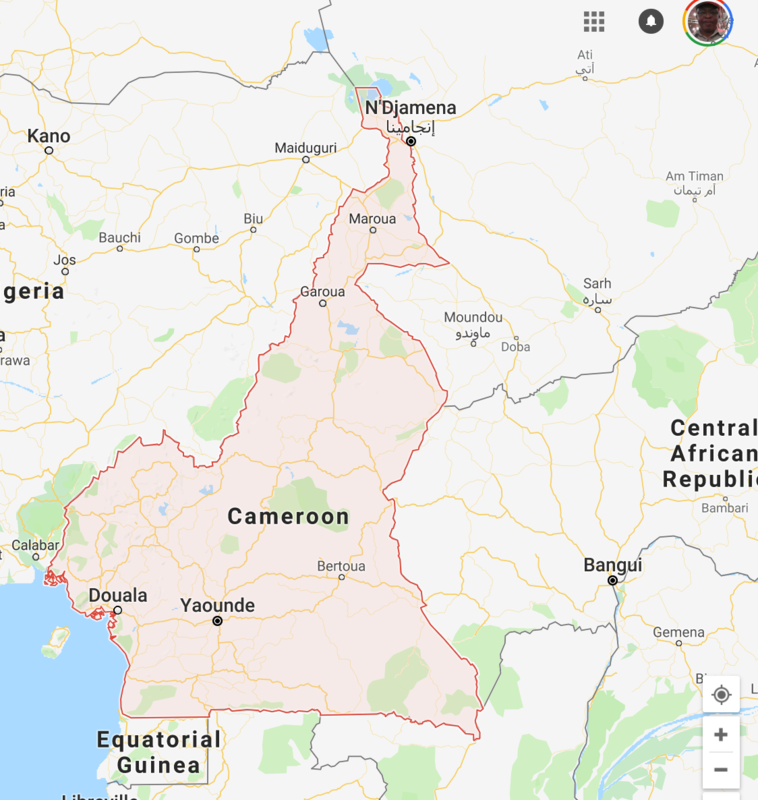 Cameroonian President Paul Biya ordered the relase of 289 detainees facing trial in connection with a secessionist uprising in the country’s Englsih-speaking northwest and southwest provinces. Biya, who started his seventh term in office last month, said the move was a peace gesture to the separatists, promising to give more powers to the country’s regions. “I have ordered the discontinuance of proceedings pending before the military tribunals,” Biya said in a statement, adding that efforts are being made for a peaceful end to the conflict. The unrest started as protests by teachers and civil servants in the English-speaking areas two years ago to protest alleged marginalization and pro-French bias of the Biya government. The government’s repressive response subsequently was answered by the emergence of insurgents seeking independence from Anglophone Cameroon. The West African country was first colonized by the Germans and later partitioned by the British and the French with Germany’s defeat in the First World War. The government of Mozambique will seek lawmakers’ approval in the first quarter of next year for a $2.3 billion loan guarantee that the southern African nation wants to invest in a natural gas venture with Anadarko Petroleum. No delays are expected in giving the go-ahead for the guarantee after the parliament passed the national budget that lays the groundwork for the sovereign guarantee, Finance Minister Adriano Maleiane said in the capital, Maputo on Dec. 14. Mozambique holds a 15 percent stake in a $25 billion natural gas development project in the north of the country. ExxonMobil Corp. of the U.S. and Eni SpA of Italy are also developing gas projects in Mozambique. Final investment decisions are expected to be made on the energy projects before then end of next year. The Nigerian government said it filed a $1.1 billion lawsuit against energy giants Royal Dutch Shell Plc and Eni SpA in a commercial court in London on Thursday in relation to a controversial 2011 oilfield acquisition deal. The OPL 245 oilfield, reputed to be Nigeria’s biggest with reserves of over 10 billion barrels of crude, is also at the heart of an ongoing corruption trial in Milan in which former and current Shell and Eni officials are accused. Milan prosecutors allege bribes of about $1.1 billion were paid to acquire the field, which was first acquired by late Nigerian dictator Sani Abacha and his then oil minister Dan Etete in 1998, with Shell as technical partner. The new London case also relates to payments made by the companies to get the OPL 245 oilfield licence in 2011. “It is alleged that purchase monies purportedly paid to the Federal Republic of Nigeria were in fact immediately paid through to a company controlled by Dan Etete, formerly the Nigerian minister of petroleum, and used for, amongst other things, bribes and kickbacks,” Nigeria said in a statementon Thursday. “Accordingly, it is alleged that Shell and Eni engaged in bribery and unlawful conspiracy to harm the Federal Republic of Nigeria and that they dishonestly assisted corrupt Nigerian government officials,” the government said in the statement. South Africa’s rand fell on Friday, in line with other emerging market currencies, as investor appetite for riskier assets dimmed amid fresh worries of a sharp economic slowdown in China. Stocks ended the week lower, with Aspen Pharmacare leading the decliners. At 1512 GMT, the rand was 2 percent weaker at 14.4500 per dollar from a close of 14.1725 on Thursday. The currency hit a session low of 14.4700. The greenback added gains after solid U.S. store sales in November reduced some concerns about a sharp slowdown in the world’s largest economy. “The markets have traded with little if any conviction over the recent sessions. Locally, numerous factors are weighing on the rand, together with the threat of trade wars and a standoff between Europe and the UK,” Nedbank said in a note. Sentiment towards the rand has in recent weeks been hit by financial woes at state-run power utility Eskom, which is scrambling to keep the lights on and has been implementing controlled power cuts to prevent the grid from collapsing. Ratings agency Moody’s said on Friday Eskom’s request for government to take up 100 billion rand of its debt could cause the country’s overall debt ratio to jump two percentage points from the current 55.8 percent. Nigeria’s President Muhammadu Buhari told the country’s state governors that the West African nations economy was in a “bad shape,” and required the concerted effort of all stakeholders to revive it. Africa’s top oil producer has faced revenue shortfalls that has seen targets missed for all the months in the current year while sovereign debt continues to mount. Buhari will seek a second term in an election to be held in February in which the economy is likely to be a campaign issue. The economy grew 1.8 percent in the third quarter, according to the national statistics office, as Africa’s most populous country continues to climb out of a 2016 recession caused by low crude prices. The country’s inflation rate rose to 11.28 percent in November amid surging food prices. The main opposition candidate, businessman and former vice president Atiku Abubakar has criticized Buhari’s handling of the economy, promising, if elected, to double the size of the economy to $900 billion by 2025. Mola also said that as part of the restructuring of the Ethiopian army, which has an estimated 200,000 troops, will cut the number of commands to four from six. He did not give a figure for what impact this would have on troop numbers.